Jerusalem city council and Finance Ministry formulate agreement to avoid future budget cuts and layoffs in the city. 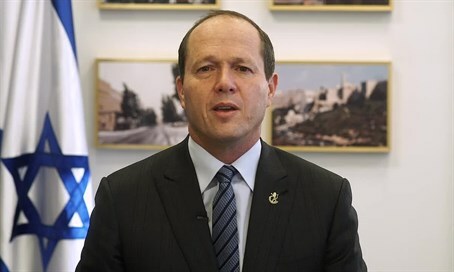 The Finance Ministry and the Jerusalem Municipality reached an agreement on Sunday night to increase funding for Jerusalem’s growth and prosperity in 2016. Both say that the deal is intended to prevent the laying off of thousand of municipal workers employed by the city, and the removal of budget cuts from the city itself. In the agreement's framework, the Ministry agreed to supply the city with 205 million NIS ($52 million US) that are needed to balance the city’s budget. This is an additional sum to the amount that was provided at the end of last year. Another 50 million NIS ($13 million US) will be transferred to the direct account of the city which will be coordinated between the Finance Ministry, the city and the Ministry for Jerusalem Affairs. The two sides also agreed upon the establishment of a mutual staff that will be responsible for formulating, within a few months, a written agreement accepted by both sides outlining the special government grants and emergency funds and the requirements for them, that will be implemented to help balance the budget in coming years. These grants come in addition to the ‘capital city grant’ that already exists.